The Atlanta Braves bounced right back from the disappointment of losing John Smoltz. Determined to rebuild a once-proud pitching staff that fell into disarray, Atlanta reached a preliminary agreement Tuesday on a $60 million, four-year contract with Derek Lowe and finalized a deal with Japanese all-star pitcher Kenshin Kawakami. The Braves would not comment on the preliminary agreement with Lowe, which was subject to the pitcher passing a physical, according to an unnamed source. 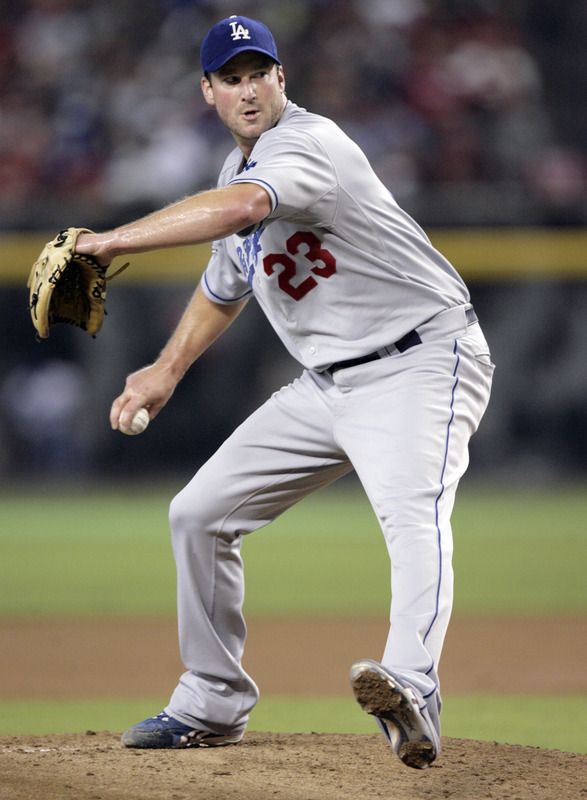 •Padres sign pair: Right-hander Mark Prior, who has missed more than two seasons because of injuries, and infielder Chris Burke agreed to minor league contracts with the San Diego Padres and were invited to spring training. •Yankees president subpoenaed: A New York Assembly committee investigating the use of millions of dollars in public funding to build the new Yankee Stadium has subpoenaed the team’s president. Assemblyman Richard Brodsky, a Democrat from Westchester County, said that his committee subpoenaed Yankees president Randy Levine as well as city Industrial Development Agency Chairman Seth Pinsky. Brodsky said the officials will appear for questioning at a hearing today on whether public money should be used. •McNamee’s meeting delayed: Former personal trainer Brian McNamee’s meeting with federal prosecutors investigating whether Roger Clemens lied to Congress has been delayed. Scott Pioli, who helped build and lead a dynasty in New England, is now in charge of a Kansas City franchise that hasn’t won a playoff game in 14 years. The 43-year-old Pioli will be introduced today as Chiefs general manager, replacing Carl Peterson. The fate of coach Herm Edwards and his staff was not yet known. •Colts introduce Caldwell: Jim Caldwell wants to build on Tony Dungy’s success, not be a carbon copy of his former boss. Caldwell, 53, was introduced by the Colts as Dungy’s replacement. Caldwell has a four-year deal. •Lions talk to Bowles: The Detroit Lions have interviewed Miami defensive backs coach Todd Bowles, 45, for their vacant head coaching job. •Burress in court: A civil trial is scheduled to begin today in Lebanon, Pa., to determine how much New York Giants receiver Plaxico Burress will have to pay in damages over a car he leased that ended up being impounded by New York City police. New York police said that they impounded the car in August 2005 in connection with a shooting in the Bronx. Arrests were made, but the records were sealed. Two-time All-America receiver Michael Crabtree is leaving Texas Tech to catch passes in the NFL next season. Crabtree announced his decision at a news conference, with teammate and Big 12 sack leader Brandon Williams also announcing his plans to turn pro. •Three players declare for draft: Penn State All-America sophomore defensive end Aaron Maybin, Boise State junior wide receiver Jeremy Childs and Ball State junior quarterback Nate Davis will all declare for the NFL draft. •Mays will return to USC: All-America safety Taylor Mays has decided to return to Southern California for his senior season rather than turn pro. •Harbaugh staying put: Jim Harbaugh set the record straight: He plans to stay as Stanford’s coach. There has been speculation in recent weeks that Harbaugh might interview for NFL openings. Dwight Howard had 25 points and 15 rebounds, and the Orlando Magic made a record 23 3-pointers in a 139-107 win over the Sacramento Kings at Sacramento, Calif. The old mark of 21 was set by Toronto on March 13, 2005, against Philadelphia. •Bryant sparks Lakers: Kobe Bryant sank a 3-pointer with 27 seconds left and scored 33 points, and the Los Angeles Lakers beat the host Houston Rockets 105-100. •Nuggets edge Mavs: Chauncey Billups made two free throws with 2.2 seconds left, and the Denver Nuggets overcame 44 points from Dirk Nowitzki to beat the Dallas Mavericks 99-97 in Denver. Zdeno Chara scored a pair of power-play goals, and Tim Thomas stopped 34 shots to lead the Boston Bruins to a 3-1 victory over visiting Montreal, halting the Canadiens’ four-game winning streak. •Penguins top Flyers: Evgeni Malkin and Jordan Staal each scored goals, and Sidney Crosby had a pair of assists to lead the host Pittsburgh Penguins to a 4-2 win over the Philadelphia Flyers. Wil Figures and John Pena scored 22 points each to lead the Northern Colorado Bears (6-11, 2-2 Big Sky) to a 91-73 win over the Sacramento State Hornets (1-17, 0-4) in Greeley, Colo.
Helio Castroneves is being replaced on Team Penske by Australian driver Will Power – at least until the two-time Indianapolis 500 winner’s tax evasion trial is resolved in Miami. •NASCAR teams merge: Hall of Fame Racing became the latest NASCAR team to use a merger to stave off collapse, aligning with Yates Racing to keep its operation running into the new season.